With the exception of a change in control of our company or the sale of substantially all of SMIHA’s assets, SMIHA will not rent, sell or license users’ personal information to any third party, without first notifying users via e-mail of our intent to take such action and allowing users to remove their information from the transfer. SMIHA uses individual information to provide promotional offers to users through e-mail advertising and class registration purposes. SMIHA reserves the right to use user information for any legally permissible purpose. SMIHA cooperates with law enforcement inquiries, as well as third parties to enforce laws, court orders, protect intellectual property rights, eliminate fraud, and help protect both users and our company from bad actors. SMIHA may disclose user information to law enforcement or other government officials as required by law in response to a verified request by a law enforcement or other government official relating to a criminal investigation or alleged criminal activity, suspected criminal activity, or potential threats to the safety of an individual. Due to the existing regulatory environment, SMIHA makes no assurances that user information will never be disclosed in any way not otherwise described in this privacy statement. If you believe that any information we are holding regarding you is incorrect or incomplete, please call 434.385.7722 or email us info@smiha.edu as soon as possible. We will promptly correct any information found to be incorrect. 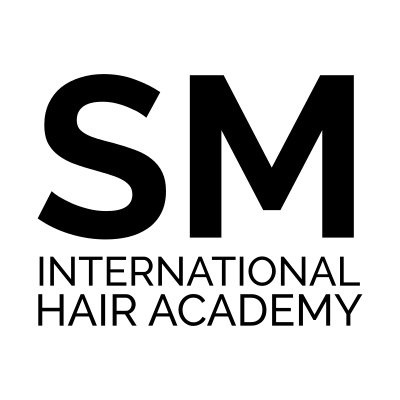 Collection and use of non-personally identifiable information by Sylvain Melloul International Hair Academy. Where possible, we automatically recognize and collect certain non-personally identifiable information regarding visitors to the Site and users of the Services, including by way of example, IP address, browser type, and other information regarding the system and connection of each visitor or user. We also collect information about how visitors access and use the Site and Services, including by way of example what pages of the Site are viewed and what portions of services are used. When providing the Services, we collect information regarding the performance of the Services, which includes metrics related to the deliverability of emails and other electronic communications. This information allows us to improve the content of the Site and Services, facilitate research and analysis of the Site and Services, and develop and refine our Services. Sometimes, we utilize the services of a third party to help us understand this information better, although the information that is disclosed to these entities remains at all times in anonymous and non-personally identifiable form. We may also provide this information to our customers in anonymous and non-personally identifiable form. “Web beacons” (also known as “single-pixel” or “clear” GIFs) include electronic images embedded in the Site or in communications sent through the Services which are invisible to users. Web beacons collect information, such as identifiers, time and date of access, and descriptions of the pages or communications in which the web beacons are embedded. The Site and communications sent through the Services may include web beacons. We may use the web beacons on the Site and in communications sent through the Services for various purposes, including by way of example to track users who have visited our Site, viewed advertisements on the Site or in communications sent through the Services, or otherwise accessed communications sent through the Services.